Haha so cool easter eggs ! Nice pic and of course the sunglasses are perfect ! Lovely idea! Where is the bracelet from? That egg is making me feel uncool. Great sunglasses, happy easter time 2 u too! ahaha.. the egg looks so cute with the sun glass.. happy easter all..
Ahah, that egg :) I love the endings of the bracelet - they remind me of a piercing. Also, gorgeous sunglasses, but whatelse from A. Wang? Only perfection. So cute! Happy Easter, hope you and your family have a wonderful day. this is so cute/cool! happy easter! that is the cutest easter egg ive seen in my life. and the glasses are amazing. Such a super cute way to decorate Easter eggs! 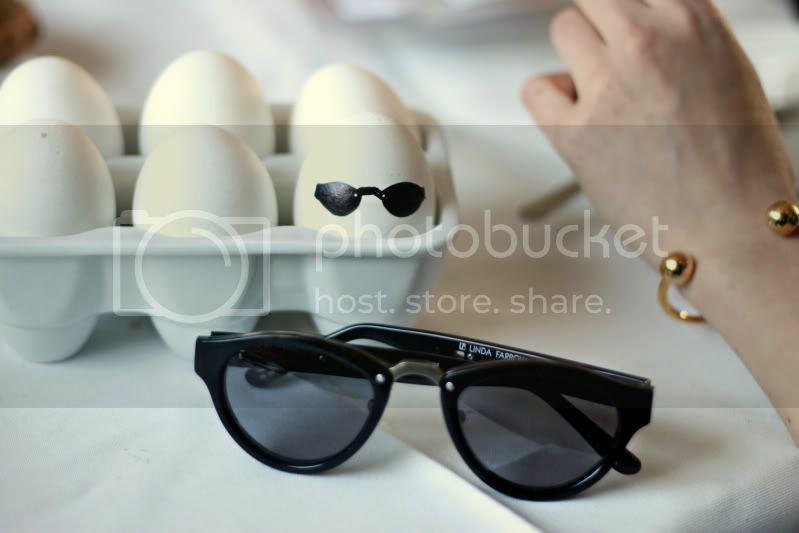 Love the egg with sunglasses! Very cool easter egg... wishing you a great day! Hahahahah. I haven't seen such a great easter egg before. What a funny pic. Love it! Heehee that egg is so cute! It can match with you when you wear your sunglasses. I love your sunglasses and your bracelet! prob the most fashionable egg this season! I LOVE the picture. Looks like a cute little egg with your sunglasses. love them! jij ook nog vrolijk pasen! Great Idea! Happy Easter too! I like your idea and I will try it. In my country Easter is new weekend!